If there’s one quick tip for enhancing your face, without spending hours in front of the mirror, it would be to focus on your lashes. Big, beautiful lashes, not only completely change the way your natural or your made-up face looks, but it also draws attention to your eyes and helps bring them into laser-focus. Here at the salon, no look is complete until we’ve paid special attention to your lashes. There are many ways we achieve the glamorous and bold lashes that are reminscent of the Elizabeth Taylor era. Novalash Eyelash Extensions extend the length and thickness of natural eyelashes, and are a practical, convenient and beautiful alternative to the daily use of mascara. Lash extensions are the first innovation in lash lengthening that can be worn daily, without nightly removal. Each tapered, synthetic lash is bonded to a single natural lash within your lash line and the final result is of effortless glamour and difficult to detect even close up. If you decide to have Novalash Eyelash Extensions, your first session will focus on filling in your lashes completely. This is booked as a two hour appointment where you’ll lay down in the facial room as Tarmey or Cassie apply each lash carefully. Once you have your initial set of extensions, you’ll re-book as you deem necessary for a “fill.” You can re-book in two-week, three-week, or four-week increments and can expect your appointment to last anywhere between 45 minutes to 1 hour, depending on your “fill” time-frame. The great thing about Novalash Eyelash Extensions, is that they remove the need for daily maintenance to your eyelashes.You won’t need to apply mascara to your lashes as they create such an accentuated look that they will enhance your makeup. Although, we do sell Novalash specific mascara, if you love to wear it regardless. to your lashes and they’re create such an accentuated look, that they will enhance your make-up. Both Tarmey and Cassie are Novalash certified. RevitaLash is a system designed to restore your lashes natural luster and beauty. It’s an advance in eyelash conditioning and beautification technology, which provides you with glamorous, iconic-looking eyelashes.It’s a once daily regimen that you apply to your lash line. With fortifying and conditioning properties, it helps to create stronger and healthier lashes. We also have RevitaBrow in-stock, and it works in much the same way RevitaLash does. For a less complex way to thicken lashes you can rely on Jane Iredale’s Longest Lash and PureLash mascara. The Longest Lash creates a full and feathery look, while still keeping your lashes conditioned. You can build the amount of volume you want by applying multiple coats to match your preference. Similarly, PureLash Mascara creates a full and feathery set of lashes, while still conditioning them. What sets PureLash apart is that is is formulated for those with sensitive eyes. It’s water resistant and is free from lacquers, shellac and petroleum based ingredients. This is an in-salon treatment where your stylist will tint your eyelashes to be a few shades darker than their natural hair color. Tinting last up two to four weeks, depending on the rate at which your hair grows. Regardless of whether you decide to go for lash extensions or land on finding the right mascara for you, you can have thick, bold eyelashes with ease and achieve the look you’re going for. 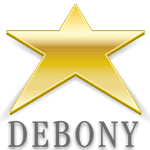 Come into Debony Salon and talk to us about what you want and test products! PreviousPrevious post:Small Business SaturdayNextNext post:What is a Make-up Artist?